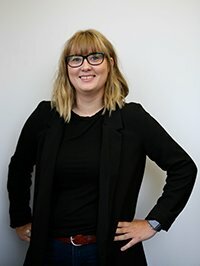 Dayna completed her diploma in Architectural Technology from SAIT in 2014, and continued on in her education, completing her Architectural Science degree from BCIT in 2016. During her studies in architecture, she gained an interest in the connection with buildings and the public realm. This interest led to Dayna’s decision to apply to the Masters of Planning program at the University of Calgary, which she recently completed this past April. The two years spent in the master’s program, she became passionate about how to learn from and improve the built environment of our communities and cities in order to strengthen them. With having both an architecture and planning background, Dayna looks forward to applying her knowledge and skills as she continues to learn alongside the Thinkspace team, working on various projects to gain industry experience. Growing up in a BC town of 4,000 people, Dayna enjoys the small town lifestyle but is excited to be back in a city, where she can continue to go on adventures and explore. She enjoys watching and playing sports, and can often be found collecting or reading about dinosaurs.